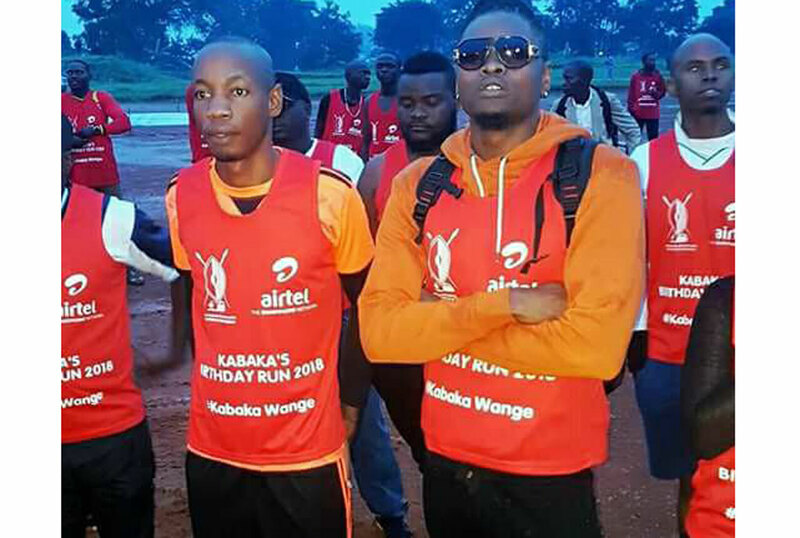 Many were surprised that the reed thin Bryan White even dared to take part in the 2018 Kabaka’s Birthday run held last weekend but the socialite showed up to represent the Bryan White Foundation. However after running for a very short while, White collapsed and had to be tended to by fellow marathoners and the first aid team. He was visibly in pain as he was fanned back to recovery. Musician King Micheal, who seems to be working very hard to steal Weasel’s place as White’s side kick noticeably fanned more vigorously than others. And you cant blame him, that is his cash cow right there.